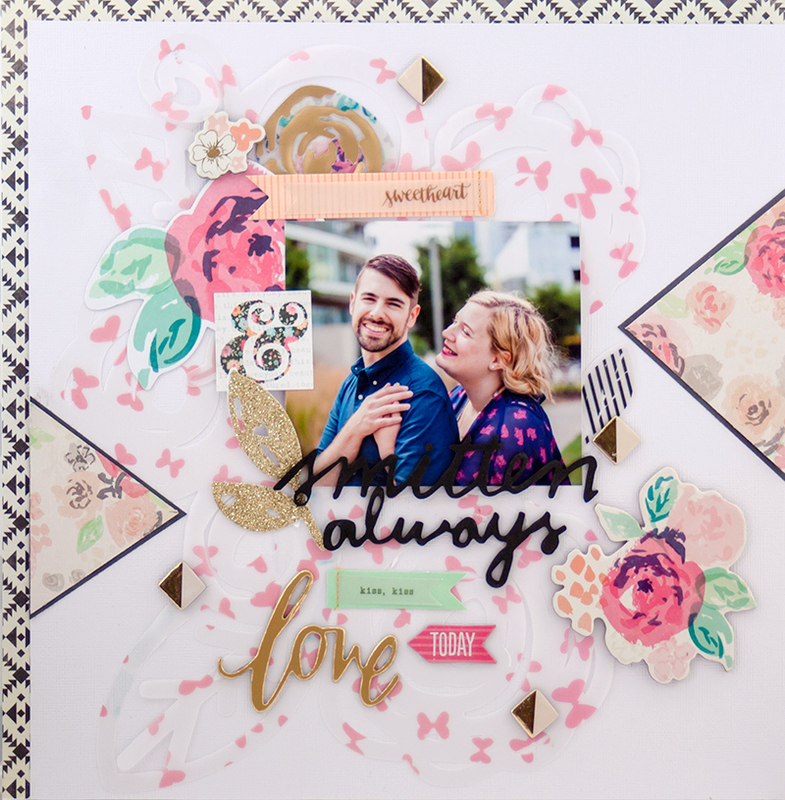 This might surprise you, but today I have another layout using a photo of my husband and I! We got back our 3rd Anniversary pics awhile back, and I will be using them on pretty much every layout for the foreseeable future :). Supplies: Patterned Paper (Maggie Holmes Confetti), Vellum (Dear Lizzy Lucky Charm), Thickers (Amy Tangerine, Maggie Holmes), Embellishments: (Maggie Holmes, Crate Paper, Cocoa Vanilla). I originally intended to use the Dear Lizzy Documentary collection, but as I played around with things it ended up being mostly Maggie Holmes Confetti. Funny how that happens! To create the background, I cut Rosey Posey out of vellum. My Cameo kept eating the vellum, and I finally gave up and placed embellishments over the part where it ripped. PS: I love the look of black with soft colors. So pretty!